Back to school season has started for some, but others like my daughter, still have a few weeks left of summer vacation. So how can we keep them entertained and find creative ways to get them off the couch or glued to their electronics? With Kiwi Crates! First of all, how cute is the name?! Doesn’t it just sound like something fun and playful? 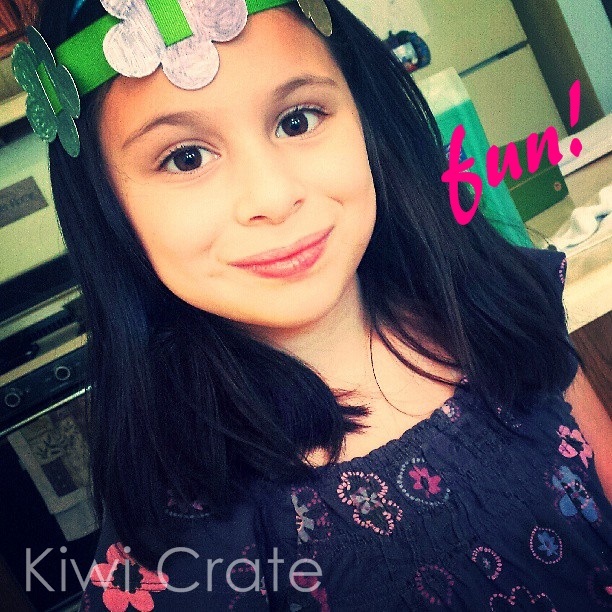 Basically, Kiwi Crate is a monthly subscription service, targeted to kids ages 3-7. They deliver a box to your child each month that’s designed around a certain theme (think Dinosaurs, Garden, Superheroes, Space.) In each box are 2-3 carefully designed and kid-tested projects, which cover a range of developmental areas and subjects, including art, science, and imaginative play. All the materials and inspiration to encourage creativity and curiosity are included – you just supply the kid! When I first learned about this product I was ecstatic, because Arianna is very artistic, and LOVES doing arts and crafts, so I knew this would be right up her alley! She received two boxes, a fairy fun theme, and wonders of water theme, from the Summer Discovery Pack. Of course she dove right into the fairy box immediately - as I knew she would, and started working on the projects right away! I was thrilled that everything is included. You really don’t need a thing! Everything is provided right in the box- including glue, markers, paint, paper, etc. So you don’t have to worry about searching through your whole house hoping to have the materials needed for each project. Additionally, each box comes with 2 to 3 activities they can do, but you will need to supervise your child however, as some of the activities can get a little messy and might be a little difficult for little ones to do on their own. But overall each box provides a good 1 to 2 hours of entertainment - and that’s totally awesome! Such a cute concept! Love the fairy wand!